First Pres Orlando | Stream | Ready or Not! Three. Two. One. Ready or not, here it comes. . .
Once again, we will trade the sand between our toes for pencils between our fingers and the masses will return to school. Whether you are walking your kindergartner into her first class or taking your college freshman for her first year, these days can be daunting. Amid all those tax-free savings, we find ourselves gearing up for our new reality: a schedule that determines what (almost) every week will look like until late May. Even if we don’t have kids in school, our world revolves around this August-to-May-to-August cycle. As my dear friend said to me just this week, “Starting back to school seems to be all stuff and busyness and yelling at people to put on their shoes and convenience foods, and then suddenly it's Christmas time and we're looking towards summer again. In a consumer culture, we live under the illusion we don't have to choose: Americans are generally wealthy enough that we can have all of it, do all of it, and be all of it.” Um, yes, that would be us. Guilty as charged. I have found myself wondering how it got to be 2017 already when it was just 2010 a week ago? When do we put our collective foot down and insist that our every weeknight not be planned with soccer practice and ballet and PTA and music lessons--all worthy activities in and of themselves--until they rob us of our patience, kindness, and self-control toward our toddler, spazzing out in the back seat from all the run-around and no nap time? Not to mention all those weekend tournaments and swim meets. When can we just be? How do we learn to be ok with saying no, even to our kids? No, you cannot play three sports. No, you cannot have more screen time. No, we cannot do another birthday party this weekend. Psalm 90 references this very idea--the idea of passing time and life lived and before we know it, it’s gone. Most Bible translations attribute this psalm to an older Moses, one who had lived most of his life already and was looking back on the years. 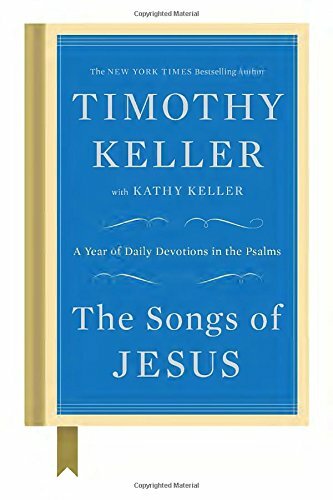 In Tim Keller’s The Songs of Jesus, he admonishes us to “let this psalm make us wise before our time, when we can still determine not to waste our life on trifles.” This is what the Bible commonly refers to as wisdom--seeing life and making decisions through God’s lens and letting the Bible dictate our priorities. This is not a list of do’s and don’ts; there is much freedom that God gives us, especially in parenting. But freedom requires wisdom, which in turn, helps us hear God’s calling for us as parents, spouses, friends, and neighbors. I know summer vacation has just ended and we are ready for routine, but let’s approach this year with wisdom. Rather than just jumping right back into the frenzied free-for-all, let’s be intentional with our time. How, when and with whom we spend our time is critical, because time is the one commodity that we can never get back once it’s gone. If you don’t believe me, ask any mom of a college grad or father of the bride--they will back me up on this! Freedom is a good thing. Wisdom is even better. Ready or not, let’s choose a reasonable pace and rhythm for what’s ahead. Because the truth is that if we don’t choose wisely for ourselves, it will be chosen for us.